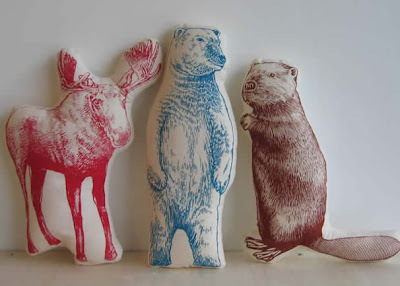 These adorable softies are made from hand printed original drawings of animals on cotton fabric with polyester filling. Bookhou was cofounded by John Booth and Arounna Khounnoraj, whose shop is based in Toronto, Canada. 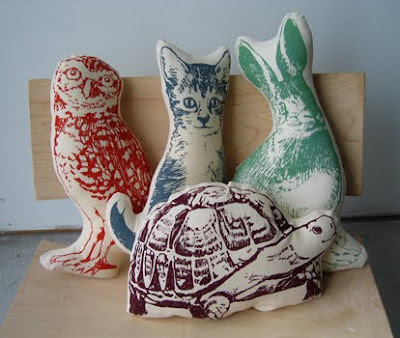 They also create beautful furniture, bags, sculpture and other home decor items.